Bishop Dr. Courton A. Reid accepted the Lord Jesus Christ as his personal Savior at the early age of twelve. He came under the mentorship of godly leaders and received initial formal and informal religious training in the Church of God of Prophecy and the New Testament Church of God in Jamaica, West Indies. He developed a shepherd’s heart and at the age of seventeen he became a licensed minister in the Full Gospel Church of God. He served effectively at the local and national level and was later ordained to the gospel ministry. He remained bi-vocational and developed as an excellent public school teacher. By divine direction, Rev. Reid and his wife immigrated to the USA and became naturalized citizens. Bishop Dr. Reid’s foundational academic and religious pursuits which began in Jamaica West Indies led him through to the tertiary educational level. He is also a proud graduate of the Moneague Teachers’ Training where, during his senior year he held the prestigious position of President of the Students’ Council. During his years in school, his peers often remarked that he is addicted to his books. In the United States, he received a B.A. in Psychology from the College of New Rochelle; Diploma in Christian Education from United Christian Church Bible Institute; M.A. in Biblical Studies from the University of Biblical Studies and Seminary; M.S. in Education from the University of New England, a M.S. Div. and a PhD from the International Theological Seminary and PhD in Christian Counseling from Newburgh Theological Seminary. In recognition of his role as Pastor of pastors, in 1999 he was consecrated to the office of Bishop. As a lifelong learner, he continues to study for another PhD in Christian Counseling through the Light University. In 1984, Bishop Reid was instrumental in organizing the City of Faith Church of God. Since then, he has served as Senior Pastor and General Overseer. In true Pauline style, he labors with his hand that the ministry be not blamed. As a permanently certified New York Public School Teacher, he founded and now directs the City of Faith Christian Academy, an educational institution licensed by NYC and NY State. He is the president of the City of Faith Bible Institute; General Overseer of the City of Faith Church of God International and Co-Founder of International Council of Independent Pentecostal Bishops. He served as a member of the Community District Board 12 in the Bronx. 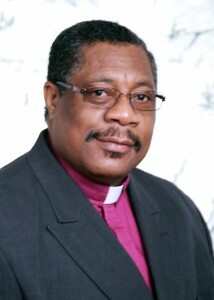 Bishop Reid holds membership in several reputable International Christian and Civic Organizations. Bishop Reid is a dynamic preacher of the gospel. By divine favor he has proclaimed God’s word throughout the Caribbean, England, United States, Canada, Israel and India. He believes that Christianity is a way of life; therefore one’s conduct must always reflect “The Way.” He is an effective educator, who challenges his students to aspire to the highest. From the Church’s main facilities in the Bronx, New York, he presides over a network of multi-ministries, geared towards developing the total man. He provides effective leadership to his local congregation, and those under his charge at branch churches in Jamaica WI, Anguilla BWI, Guyana SA and The Cayman Islands. He collaborates with other independent ministries in providing local, regional, national and international leadership and counsel to the Body of Christ. He writes several profound organizational documents and recently published a classic, life changing book – Rebuilding Broken Walls and Burned Gates. Bishop Reid is married to Minister Claudette who serves effectively alongside him in ministry. They are blessed with three intelligent, talented, Christian sons, all serving in ministry. Bishop Reid remains a humble servant of God with a burning desire to see souls born into the kingdom of God. He believes that accomplishments and dream careers do not necessarily guarantee happiness. Making it to number one really means knowing where God wants you to be and serve Him there with your best efforts; finding the threads God has in place for you and follow His plan for you with excellence. You may connect with him electronically at www.CityofFaithChurchofGod.org or cityfaithbishop@yahoo.com.